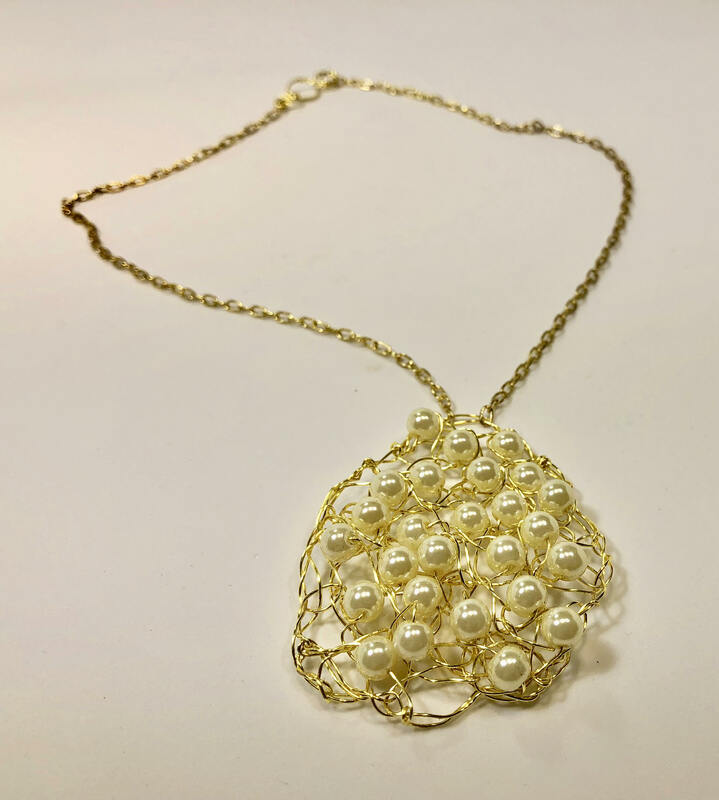 Handmade brass artistic craft wire crochet necklace with white pearls. 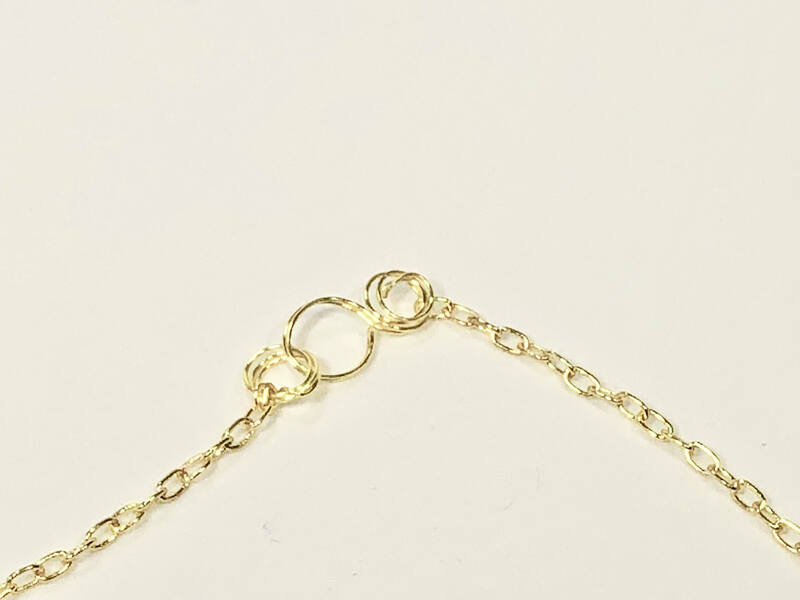 It measures about 17-18" and is closed with various styles of clasps. 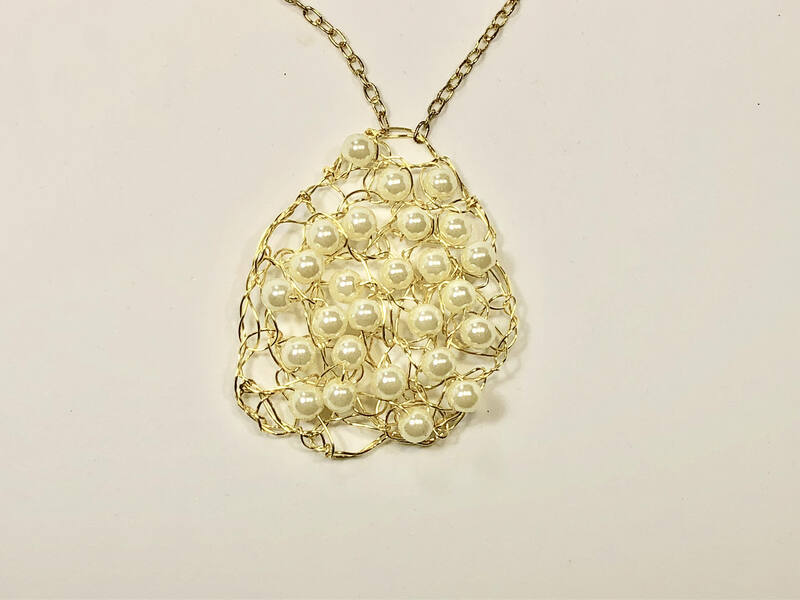 Materials: brass wire with matching chain and clasp, pearls.